As the Academy Awards prepare to reveal which film will be taking home Best Picture this weekend, we have another update for you on the additive manufacturing “Oscars” – the 2019 3D Printing Industry Awards. In previous updates we have seen some of the companies already nominated for Personal 3D Printer (FFF) of the Year, Material Company of the Year, and your Wildcard suggestions, but there is still time to add your names to the longlist before it is revealed on March 1st. Each year, the award for Enterprise 3D Printer of the Year is split into to two categories, one for Metal and one for Polymers. The 3D printers and companies below are some of the current nominees for Enterprise 3D Printer of the Year (Polymers) or Enterprise 3D Printer of the Year (Metal). If you your award winning system isn’t mentioned, now is the time to make your nominations for the 2019 3D Printing Industry Awards. Entries close next week. The 2019 3D Printing Industry Awards. 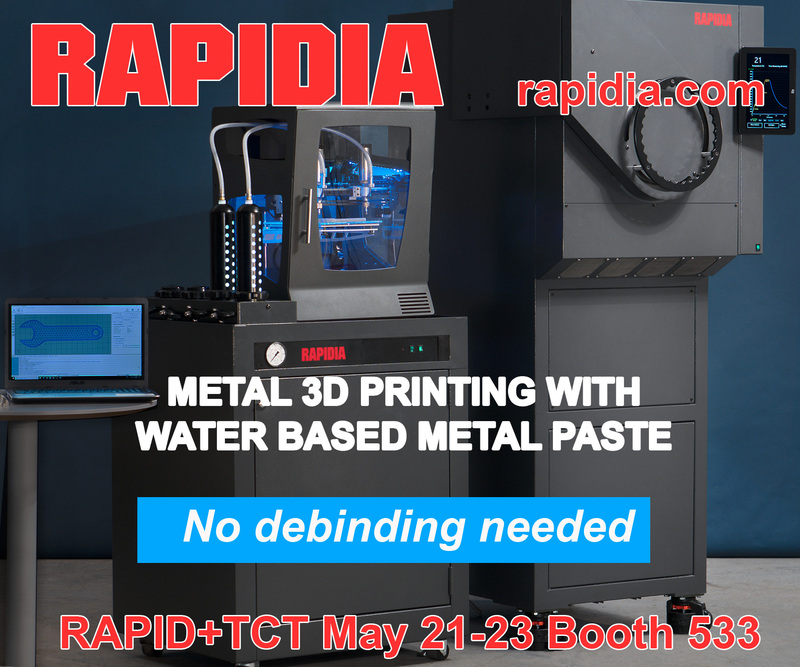 Competition within the metal additive manufacturing industry is fierce. In the past year, to name just a few, we have witnessed the introduction of the EOS M300-4, the Velo 3D Sapphire, and the pre-launch of HP Metal Jet, which have all received nominations in this category. 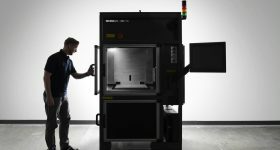 Additionally, there is the 3D Systems DMP Factory 350, the Markforged Metal X, Digital Metal’s DM P2500 and the Arcam Spectra H, which was launched at Formnext 2018. Speaking with Annika Ölme, Vice President of product management at Arcam AB, one thing noted is “[…] an explosion of laser companies,” i.e. laser sintering and melting. The technology that differentiates Arcam is electron beam melting (EBM). Also harnessing the power of electron beam is Chicago’s Sciaky Inc., that employs Electron Beam Additive Manufacturing (EBAM) through its 2019-nominated EBAM 110 system. That’s not to say however that laser powered metal 3D printers don’t still have an edge. The Concept Laser M LINE FACTORY, due to launch this year, is also a contender within the 2019 awards, as is the quad laser Renishaw RenAM 500Q. In large scale metal additive, we have received nominations for a number of WAAM-based 3D printers, including the GEFERTEC Arc605 and the European Union’s Large Additive Subtractive Integrated Modular Machine (LASIMM) that is now pending commercialization. Furthermore, both small and large scale DED is represented by the nomination of Additec’s desktop μPrinter and the Optomec LENS system. Moving on to the 2019 Enterprise 3D Printer of the Year (Polymers) nominees, we have the recently-launched 3D Systems Figure 4 Standalone machine, the Sintratec S2 all in one SLS system, and Carbon’s L1, the successor to the M2 (which has also received nominations). Through integrated post processing, larger print volumes and other unique features, all are contenders for this year’s award. HP has multiple nominations for Multi Jet Fusion (MJF) systems across its portfolio, including the MJF 300 and 500 3D printers, and the MJF 4200 system, that continues to find its place within many rapid prototyping service bureaus. 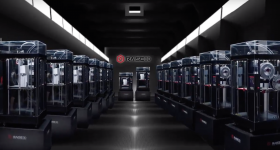 Markforged’s 3D printer range has a number of nominations including the continuous fiber filament X7 system, the Onyx One and the reigning Mark Two. 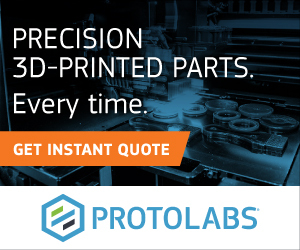 The Stratasys J750, that recently received an update to offer customers over 500,000 color combinations, has also been nominated, as has the Roboze One +400 high temperature 3D printer, and the EOS P 500, dubbed the company’s “first step” toward digitization with in-built data delivery. Interestingly, for the first time this year, the Enterprise 3D Printer of the Year (Polymers) category has received nominees from the micro stereolithography sector. Nanoscribe GmbH has been nominated for its Photonic Professional GT2. 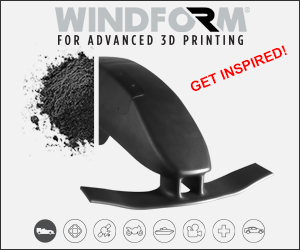 And Microlight3D’s Altraspin system launched in January this year. If you’re a company looking to get involved in the 3D Printing Industry Awards this year it’s time to start sharing this nomination with your network. As for our readers – if there’s anything missing from the list above, now’s your chance to get your voice heard. Featured image shows Sruthi Venkatest’s winning 3D Printing Industry Awards 2018 trophy design.